This beautifully maintained home has tons of space for great, comfortable living and one that pays you back! The home is equipped w/ a smart Nest thermostat and 30+ solar panels that can be ran/checked from a smartphone. The new owner will own these solar panels outright and enjoy owning their own power and reduced utility bills. NEW EXTERIOR PAINT IN PROCESS. This home boasts a new roof (2018), new carpet (lower level to be put in prior to closing), sliding glass doors w/built-in blinds, new exterior paint (2019Ã¢â‚¬â€will be completed prior to closing), new kitchen countertops/sink/faucet (2019), and a large lot and fenced backyard. The split-level design offers great separation of space to spread out and the large unfinished basement offers opportunities for more finished space, great storage, or a work/craft area. This home is move-in ready, pre-inspected, and a buyer home warranty included! 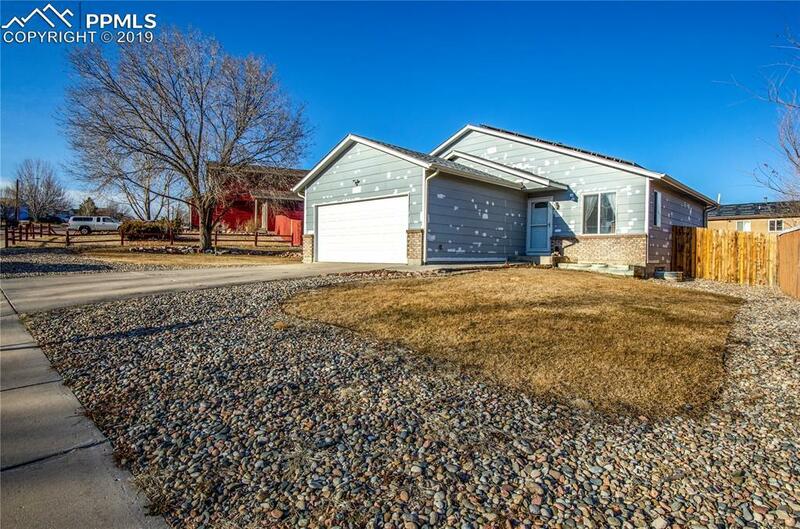 Amazingly easy access w/great commuter possibilities to I-25, HWY 115, Marksheffel, Fort Carson, and Peterson/Shriever AFBs.